News about labor unions is usually pessimistic, focusing on declining membership and failed campaigns. But there are encouraging signs that the labor movement is evolving its strategies to benefit workers in rapidly changing global economic conditions. 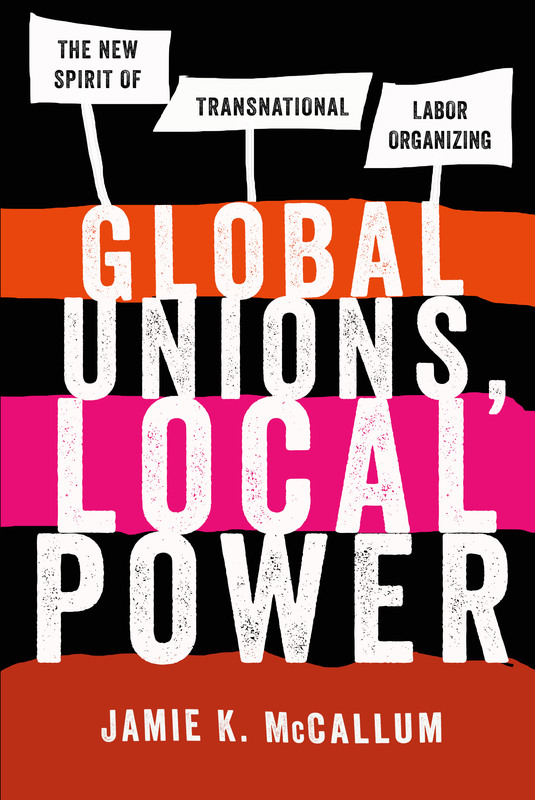 Global Unions, Local Power tells the story of the most successful and aggressive campaign ever waged by workers across national borders. It begins in the United States in 2007 as SEIU struggled to organize private security guards at G4S, a global security services company that is the second largest employer in the world. Failing in its bid, SEIU changed course and sought allies in other countries in which G4S operated. Its efforts resulted in wage gains, benefits increases, new union formations, and an end to management reprisals in many countries throughout the Global South, though close attention is focused on developments in South Africa and India. In this book, Jamie K. McCallum looks beyond these achievements to probe the meaning of some of the less visible aspects of the campaign. Based on more than two years of fieldwork in nine countries and historical research into labor movement trends since the late 1960s, McCallum's findings reveal several paradoxes. Although global unionism is typically concerned with creating parity and universal standards across borders, local context can both undermine and empower the intentions of global actors, creating varied and uneven results. At the same time, despite being generally regarded as weaker than their European counterparts, U.S. unions are in the process of remaking the global labor movement in their own image. McCallum suggests that changes in political economy have encouraged unions to develop new ways to organize workers. He calls these "governance struggles," strategies that seek not to win worker rights but to make new rules of engagement with capital in order to establish a different terrain on which to organize.